Copenhagen, Denmark / New Jersey, USA, September 21st 2017: Bifodan A/S has today been awarded by the Confederation of Danish Industries, Capital Region, with the Award of Initiatives for business strategy, financial growth and global expansion. The Confederation of Danish Industries recognizes enterprises that, through focus, dedication and perseverance in innovation, technology and education, contribute to significant economic growth in the region. Bifodan receives the Award of Initiatives because the company has demonstrated diligent strategic focus on probiotic dietary supplements. In alignment with unprecedented growth in the probiotic market, the management of Bifodan has adjusted business strategy, expanded its manufacturing capacity in Denmark and trained and educated employees to prepare for continued growth. 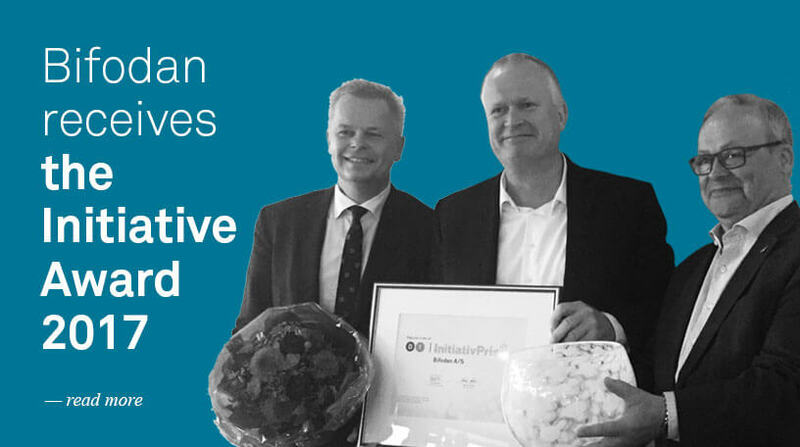 Chairman of Confederation of Danish industries, Mr. Poul Skadhede congratulates Bifodan, stating that the Board of Directors unanimously voted Bifodan as the award winner. ‘By translating your core competencies into a clear value proposition that is meaningful and adds value to your customers, you have succeeded in growing your business significantly’. Skadhede continues. ‘Your FASTMELT probiotic dosing format is an excellent example of innovation for growth that has positioned Bifodan in the global market for probiotic supplements’.